I’ve had a chance to try out Nodes 2 myself and I was extremely impressed with how quickly I was able to pick it up. Here are a few quick examples of what I was able to create on my own, which to my surprise, rendered very quickly on my iMac. On top of that, I like that I can create certain animations with ease compared to plugins like Trapcode Form or Particular. If you are looking for a plugin that imports stunning 3D models, build networks of node structures, and allows you to create an limitless amount of text and image connections, then look no further than Yanobox Nodes 2. At the price of $299, it’s a no brainer purchase that will save you hours of work and allow you to explore more creative depths than you can imagine. Using matte clips in my edits is something I’ve been doing for a very long time. 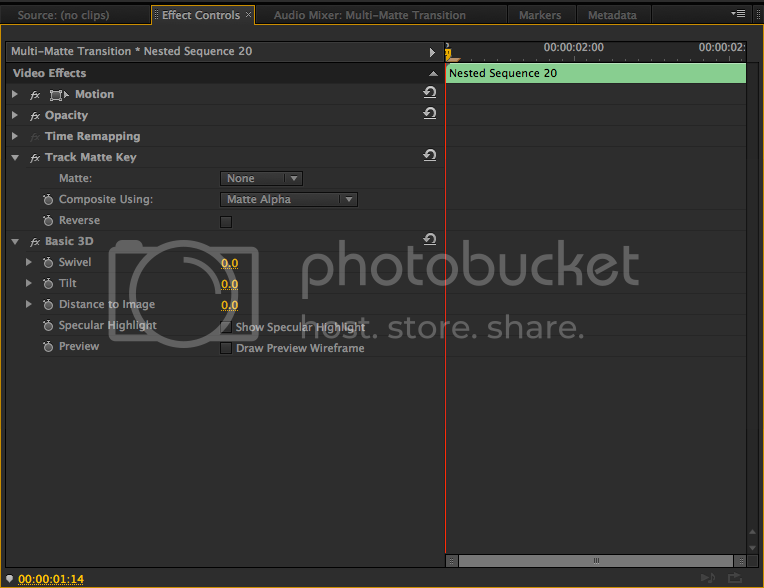 With mattes, I can isolate a piece of footage and insert other assets. What would be an otherwise boring set of clips looks like a masterful composition. 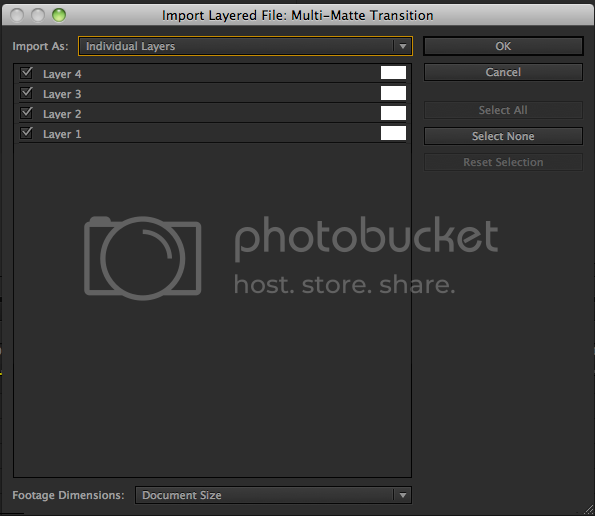 Now, there are many ways to create mattes as well as use them in your edit. However, I want to highlight creative ways using mattes can add flair to your edits. 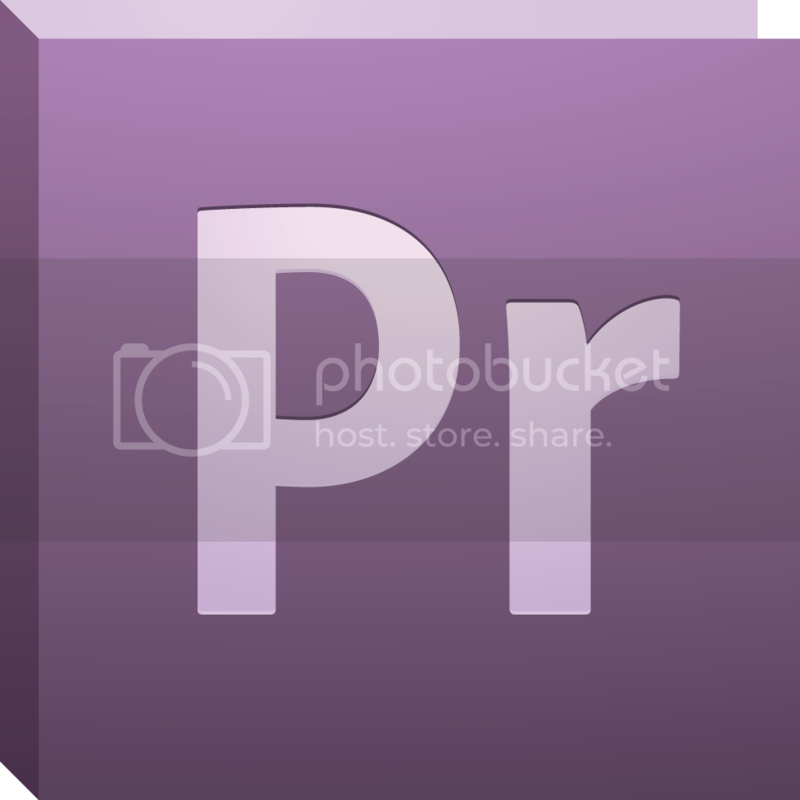 The use of mattes can be done in all popular NLEs such Adobe Premiere, Final Cut Pro, and Avid Media Composer as well as in After Effects and Motion. Let’s take a look. In this tutorial, post production guru Walter Biscardi shows us how to use mattes to enhance talking head interviews with b-roll. In Final Cut Pro 7, he places his interview clip on track 3n. From there, he places his matte image on track 2 with a scale and position adjustment. He inserts his main background on track 1 so that the composite will have an overall theme. With his interview clip selected, he control + clicks on it and selects Travel Matte Alpha. This puts his interview clip into the matte he placed in track 2. To clean things up, he nests his interview clip and matte into their own sequence. With his clips in a nest, it allows him to add a drop shadow which adds a bit of depth to the matte. Next, he adds his b-roll on track 3 and another matte on track 2. Using the same process as above, he is able to place his b-roll into the matte and adjust it to taste. With his clips matted out, he adds the final touches with a faded title and he now has a much more visually appealing interview than he had before. No need to cut back and forth between talking head and interview when you can see everything at once. In this cool tutorial, Sean Mullen of Rampant Design shows us how to use his popular product, Style Mattes. Style Mattes are a collection of pre-animated mattes which work with all major and popular post production software. Here, he shows us how easy it is to use these mattes in Premiere Pro. 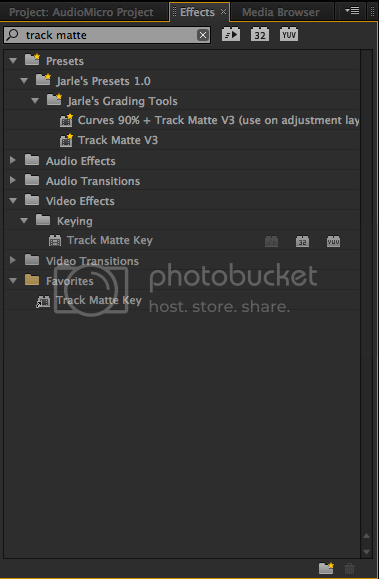 With your clip on Track 1 and the Style Matte on Track 2 or above, apply the Track Matte Key to your clip. In the effect controls panel, change the Matte option to Track 2 and choose between Matte Luma or Alpha so that you’ll see your video inside the matte. In a matter of seconds, it is really easy to add these mattes to wedding montages, music videos, documentaries, or any video project you have. In this tutorial for Avid Media Composer, Jon Lynn of GeniusDV shows us how to create a light streak freeze frame holdout effect using the Marquee Tool. First, he isolates a frame in the timeline. From there, he creates a freeze frame in the source monitor. With the freeze frame created, he inserts it into the timeline at the point where he wants the action to stop. Next, he creates a new title which opens up the Marquee Tool. Using the shape tool, he draws a matte around the talent. Once the matte is created, he saves it into his bins for later use. With the matte placed inside of his bin, he inserts it into the timeline and does the necessary compositing to isolate the talent in the freeze frame. Using a filter from Boris FX, he is able to add the light streak effect and complete the graphic. One of the things I’ve always found hard to grasp in Media Composer is the amount of steps it takes to do what can be simple compositing. I know some folks like it, where others tend to leave that work to a program like After Effects or Motion. Overall, it is a cool effect when you want to add something special to your projects. These are just a small collection of ways to utilize mattes in your video projects, and I encourage you to find ways to use them in a way that enhances yours. It’s easy to use them as a crutch for creativity, but when utilized properly, they can be a force to be reckoned with. Cloning, or duplicating an actor to give the illusion of a twin or doppelgänger, is a rather quick and easy effect to achieve on a basic level in multiple post production programs. You have seen this effect countless times in numerous films and television shows, and it was developed through the advancement of post production techniques and programs. In this blog entry, I will be explaining the basics of creating the cloning effect, and the “rules” that need to be followed, along with giving you a step-by-step tutorial on how to record and edit your footage together in order to create the effect in After Effects CC. When you are thinking of creating a basic cloning effect, you have to think of how you will be shooting the scene. Since we are focusing on the basics, the first thing you need to establish is a dividing point in the scene between the clones. What do I mean by that exactly? Well, if you look closely at the video again, you will notice that at no point do the clones cross in front of one another, nor physically interact in any way. In fact, this effect was created with one continuous shot. First, I sat on one side of the couch fiddling around with my phone for about twenty seconds or so, then slid down to the other side of the couch, picked up a book and read for another twenty seconds. I made sure that I did not reach across or invade the space of where the other “me” would be, and avoided any type of overlap that may have occurred. In After Effects, I will cut this single take and overlap the footage. Then I will create a matte, which will create the ideal clone effect. To clarify a few points… the reason I captured one continuous shot is because it is absolutely paramount that the two scenes line up perfectly. I mean pixel perfect! By hitting stop and record on your camera, you create a small variance in the camera’s location (aka you move the camera a little bit each time you touch it, even if you don’t think you are). The only way to avoid this is simply by not stopping the recording and capturing everything in one take. Let’s take this step by step. Once we record our single take of multiple positions throughout the shot, we can then import the footage into After Effects CC and create a new comp. Scrub through the footage and find where the end of the first position occurs (for me this is where I set my phone down, and slide to the other side of the couch). Once you have located the spot in your footage, you can split your footage by hitting CMD+SHIFT+D, or by going to EDIT>SPLIT LAYER. You can now CLICK & DRAG your footage on top of one another so they overlap on the TIMELINE. Now we need to create a matte in order to reveal both sets of footage at the same time, and give the illusion of a clone. To create a matte, use the RECTANGLE TOOL (shortcut key Q) and click and drag a box around your footage, isolating your second acting position. Voila! You now understand the basics of creating a clone in post production and are ready for more advanced techniques (overlapping shots with clones, handing objects from one clone to another, etc.). The last bit of advice I have would be to feather the matte out a bit. To do that, simply click M twice on the layer in After Effects that has the matte, go to MASK FEATHER, and increase the number to about 30. Mission complete! 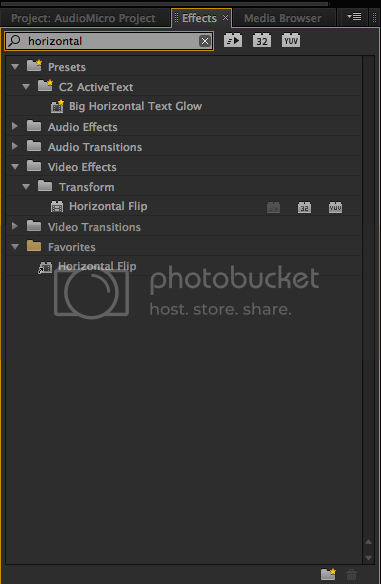 One of the many things I love about After Effects is how large its ecosystem is. 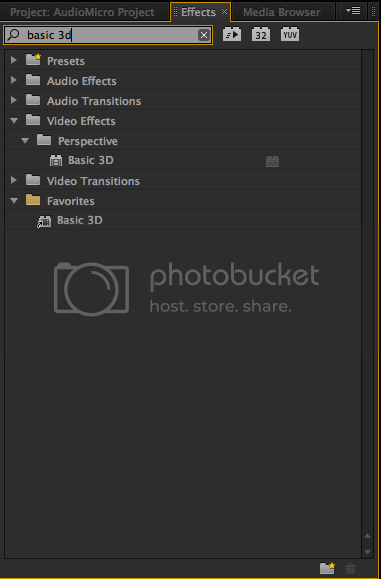 Out of all the compositing applications I’ve come across, no application has as many resources or add-ons than After Effects. This is especially true when it comes to the tools available for creating animations. 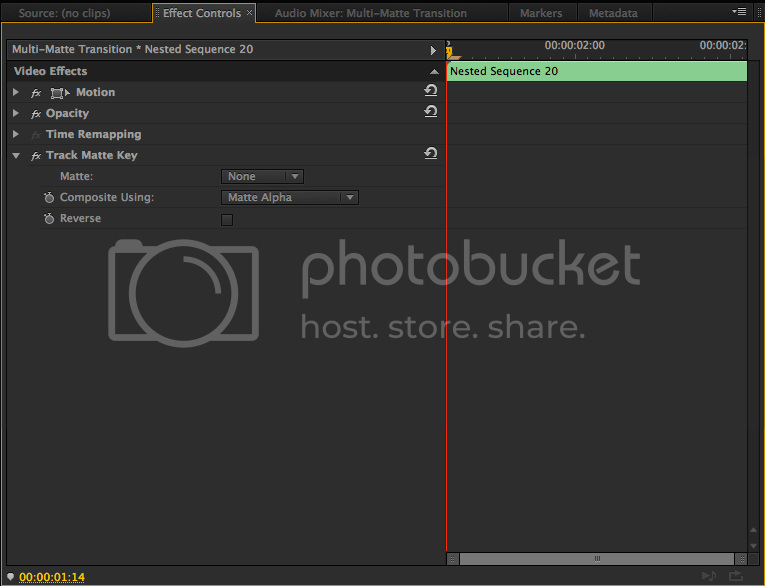 Many long-time users of AE know of the motion parameters used to create animations that are simple and complex. However, when time isn’t always on your side and you need to create stunning animations quickly, look no further than these offering of animation tools. From the talented folks of Ebberts and Zucker, these three animation assistants allow you to create animations involving kinetic typography, camera moves between 3D layers, and more. Overall, I believe these three scripts are must haves for increasing the speed which you are able to crank out complex animations in a short time frame. These tools are essential if you want to rig and animate characters in After Effects. Utilizing the concept of inverse kinematics, Duik Tools simplifies the process by rigging the character of your choice with controllers on various body parts. These tools include an inverse kinematics tool, bones and puppet tool, autorig, animation tools, and more. The best part about these sets of tools is that they are free, so you definitely want to have this as part of your arsenal for those character animations you may get down the line. If you are looking for animation tools or plugins that allow you to be a fast animator in After Effects, look no further than this collection. These tools definitely help users create complex animations that need to be done as soon as possible. These options won’t disappoint. One of the many tips I learned when I started editing was to be observant of things I see on the screen. When I wanted to learn how to recreate a transition, effect, or animation and there was no tutorial or breakdown available, I would watch the example over and over to fill in the pieces. By doing that, I learned how to create my own effects transitions in various editing applications as well as how to turn those into successful tutorials. What I’ve recently learned how to do in Premiere is how to create over/under transitions that I was used to seeing in FCP 7. The first one I did was a Sliding Page Transition. I was able to break it down by observing a video clip I saw online into its essential elements. In short, it was nothing more than animating the scale and position parameters, switching clips on their original video tracks and adding a quick gradient behind it. Once I put the pieces together, it was simple to recreate it. I took a similar approach for this transition as well. The next transition I will show you how to do a Swap Slide. 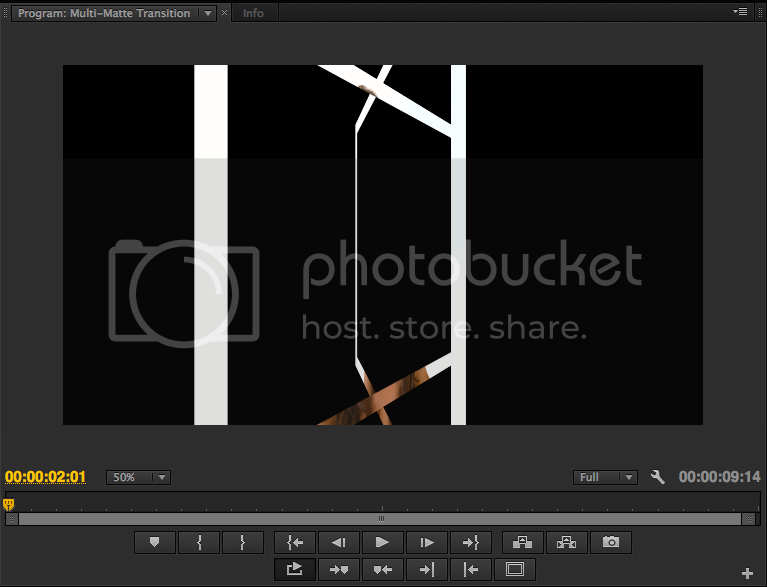 This transition involves swapping your outgoing clip with your incoming clip. First, you want to have two clips on your timeline like the picture below. Next, add keyframes for position on both clips. For the clip on track 1, I’ll add a keyframe for position at its default value. Let’s move 13 frames forward and add another keyframe with the clip moved to right, almost offscreen. Move 12 frames forward and change the position value back to the default. Now, we need to add the same amount of keyframes to the clip on track 2 as well but instead of moving it to the right, we will move it to the left. Follow these screenshots as a reference. The final step in creating this transition is a blade edit and swap the video clips. First, let’s make a blade edit on the second keyframe of each clip. Move the clip on track 1 to track 2. Do the reverse for the clip on track 2. If you do all that, you will get a result that looks like this. There you have it. Another over/under transition for the FCP converts who now use Premiere. If you want the transition to happen sooner, you can change the timing of the keyframes to your liking. If you are PC user, this tutorial may not be relevant as this transition still exists in the Slide category. If you want an option to purchase a package that has this actual transition, you can get the Genarts Sapphire package or BorisFX’s RED package. Both of them offer this transition with in their vast categories. While they are great to have, they can be expensive if you don’t have the budget, so purchase wisely. There are times when we are shooting green screen footage and we don’t have any idea what type of background to use for them. Well I’m here to provide you with some resources for places you can purchase virtual sets for your next green screen edit. One of the newest products of the DJ family is this collection of virtual sets. Designed for green screen news talent, these sets come with creative backgrounds, over the shoulder screens and transitions. With options available for After Effects, Premiere Pro, Sony Vegas and Final Cut Pro/Motion you have your choice of using these sets across PC and Mac. The best part about these sets is you can either purchase the entire collection for $99 or individual sets for $25. Currently, Digital Juice has released two sets of this collection with newer sets on the horizon. Footage Firm is a site which has sold royalty free video assets for the last 10 years to numerous broadcast stations and has a great offering of virtual sets if you purchase from their DVD collection. With these sets, you have a greater variety of news style sets which also come with transparent video screens. They have sets which accommodate breaking news, entertainment, sports and more. Using one of these sets is a simple process of layering it underneath your green screen footage. You’ll be up and running in no time with these virtual sets. Tube Tape sells a variety of products to the budget filmmaker to bring their imagination to life. With the Tube Tape collection of virtual sets, you can mimic a news room, lecture hall, court room, conference room or concert. These sets come in the PNG file format at 1920 x 1080. The best thing about these sets is they come in pieces. This gives the user great flexibility to accommodate how they shoot their talent. These sets are typically $79.95 each but Tube Tape is running a 50% off deal where you can purchase them individually for $39.98 or in a bundle for $99.99. Virtual Set Backgrounds specializes in selling customers digital backdrops for video production. They offer over 100 virtual sets to choose from and are compatible with a variety of editing and compositing software. One distinct feature these sets tend to have is that their monitors either come in green screen or have luma mattes which can be used with a keying filter to place footage inside of. The price range of these sets varies from $49-$135. VSB offers tutorials with various editing software to help the user get up and running quickly. These are just four of the resources you can check out if you ever need a virtual set for your client. You can always create one yourself but if time is of the essence, you’ll fair much better by investing in one of these resources. The ease of use each company provides will make a seasoned editor look like a superstar.